When you sign up for a free TrackingTime account you'll get instant access to all premium features in our PRO plans for 14 days – no credit card required, no strings attached. When your free trial ends, your account will be automatically downgraded to the free plan, which allows you to use all the basic features in teams up to 3 people. Additionally, the free plan is limited to 3 active projects and 100 tasks (both active and closed). Also, the date range for creating reports is limited to two months. Absolutely not! When your free trial ends all your projects, tasks, time entries and all your account data will remain safe and sound. 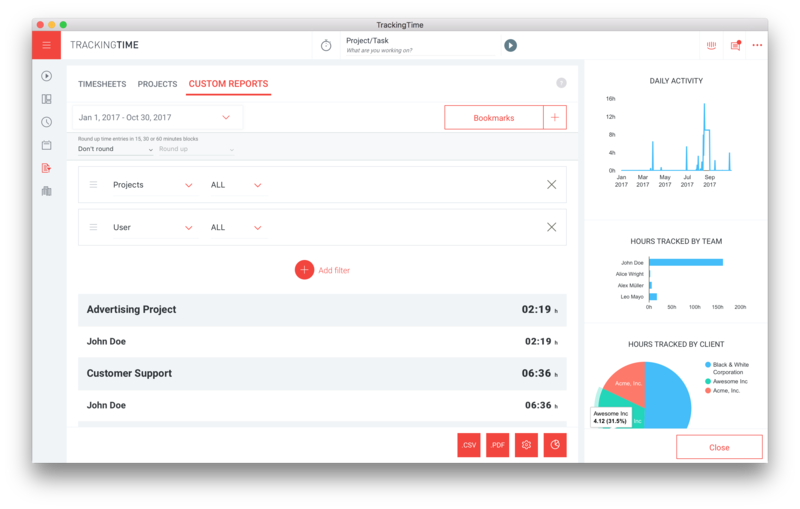 TrackingTime helps you organize your projects and tasks, track your team's working hours and create the reports you need for payroll, billing, invoicing or to measure your productivity. Here're four easy steps to get you started that will help you make the most of TrackingTime. Invite your employees to join your TrackingTime account, so that you can delegate tasks to them and keep track of their hours. Learn how to invite users. Once you've set up your employees in your account, you can delegate tasks to them or let them create their tasks on their own. Everyone in your team can then track how much time they spent working on their projects and tasks. Add and share tasks with your team. Today, work happens everywhere. That's why TrackingTime allows you and your employees to track your hours wherever you work. Download TrackingTime for iPhone or Android. 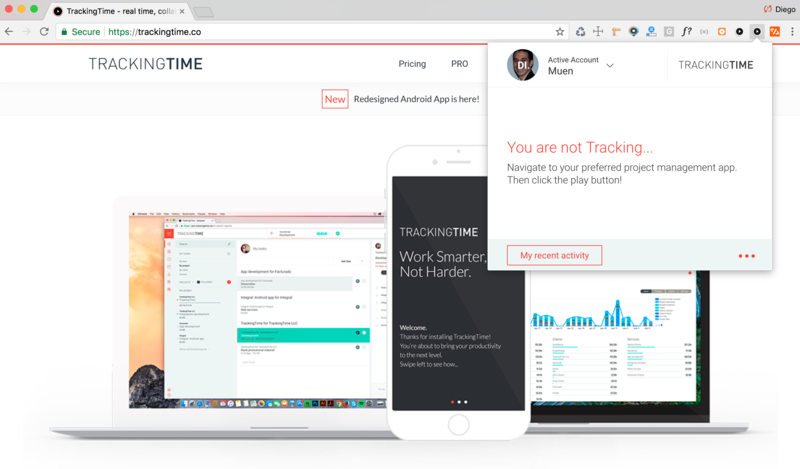 Track time right within Asana, Trello and more than 30 other online services with the TrackingTime Button for Chrome. Track time with our Bot for Slack. The best part about time tracking is creating reports that deliver the insights you need to move your work forward. TrackingTime offers several types of reports that are designed for different purposes and use cases. 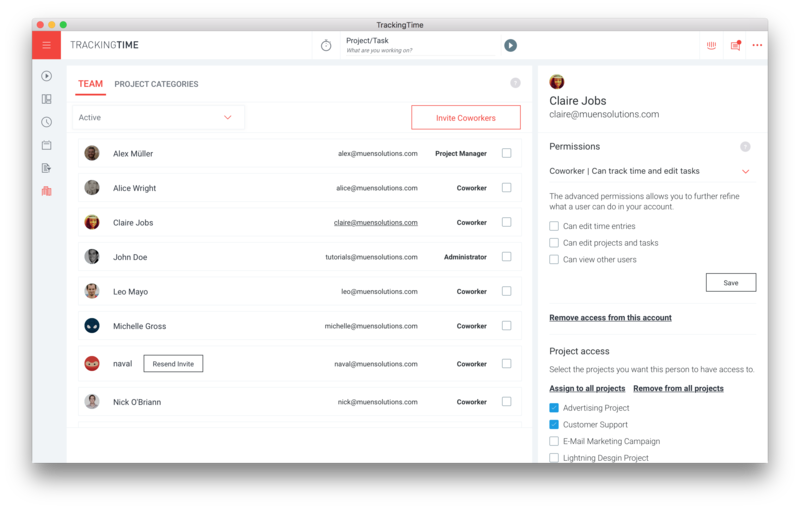 Timesheets: Create detailed time reports for projects, employees, customers and more, for any time period. Custom Reports: Use multiple filters and categories to create reports tailored to your needs. 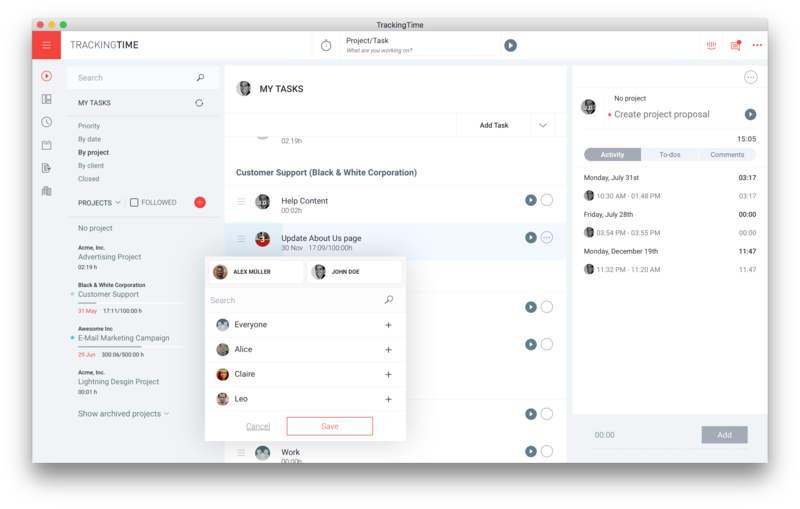 Projects Reports: Stay on top of all your active projects with a live dashboard that helps you prioritize tasks, stay focused and allocate time efficiently across your team. Thanks for trying out TrackingTime! 🙌🏻 If you have any questions or feedback please get in touch with us. We're always happy to help.